Fr. 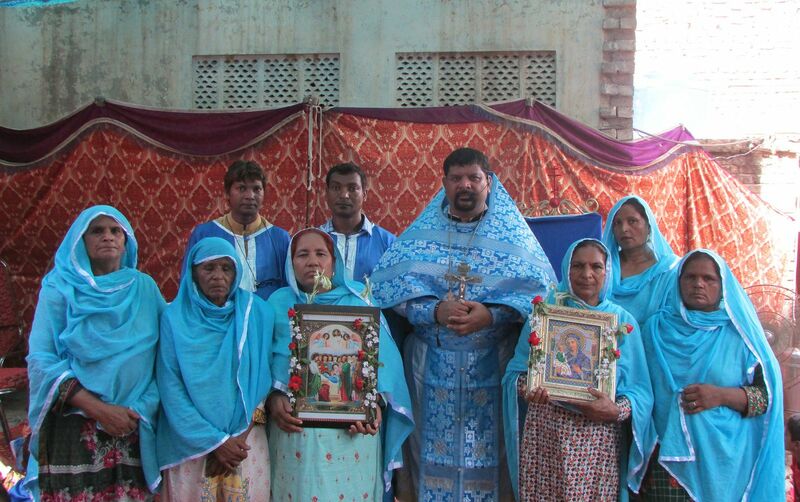 Joseph Farooq of the Archangel Michael Mission in Pakistan (ROCOR). “Let us celebrate with joy and feel blessed as we all are saved by the intercessions of the Most Holy Mother of God and Ever-Virgin Mary”! 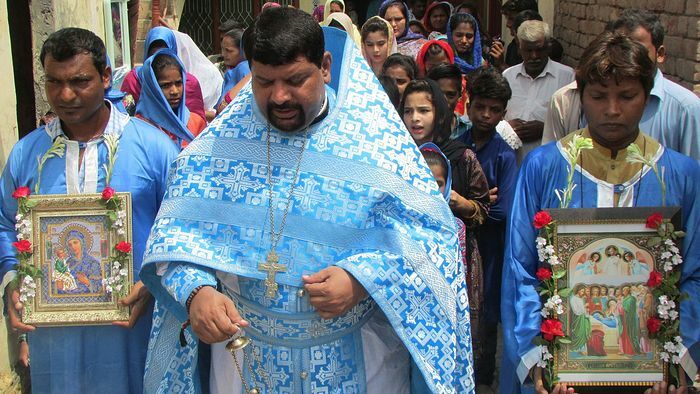 With the blessings of His Eminence Metropolitan Hilarion, the First Hierarch of the Russian Orthodox Church outside Russia in Pakistan, on August, 28, 2018, the feast of the Dormition of our Most Holy Lady Theotokos and Ever-Virgin Mary was celebrated in Pakistan. 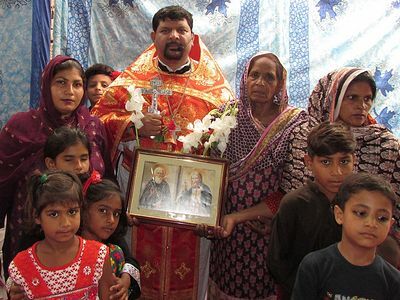 With full devotion and faithfulness, the congregation of Saint Sergius of Radonezh Orthodox Church Sargodha participated in the joyful celebration of the feast day. The feast of Dormition joyfully began with a moleben of thanksgiving, with big procession followed by festive Divine Liturgy. On this feast, special prayers were offered for the health and many blessed years of His Holiness Patriarch Kirill of Moscow and all Russia Shepherd of the Russian Orthodox Church, His Eminence Metropolitan Hilarion, and First Hierarch of the Russian Orthodox Church Abroad. Special prayers were also offered for peace in our families, in our local community, and in the world and in the suffering countries. The Feast of the Dormition of the Most Holy Mother of God has become very popular tradition of Saint Sergius Orthodox Church in Sargodha. For the last four years we are celebrating this feast with a great procession and large gathering of the faithful and catechumens. 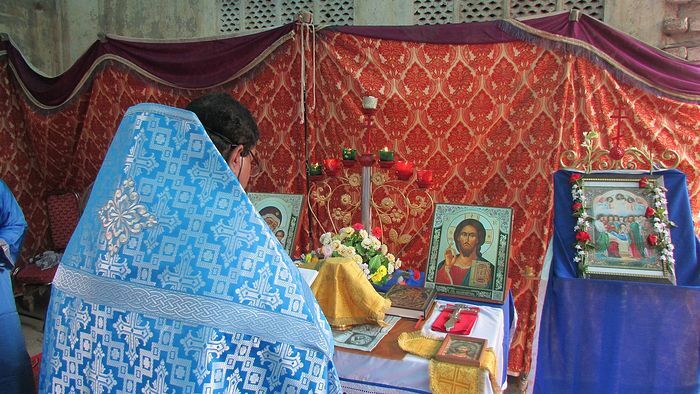 The faithful were taught that the Dormition Fast and the beauty of the sacred traditions provide us with a spiritual opportunity to repent and to be reunited with our Heavenly Father as our sins separated us from God. 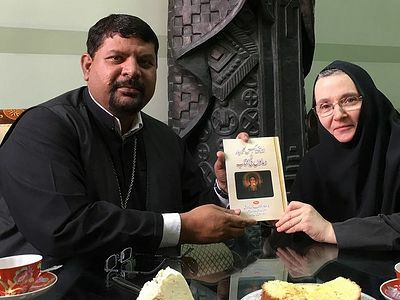 Besides this, they asked to honour the Most Holy Mother of God and seek help from the Queen of Heaven who saves us all through Her powerful intercessions. May the Most Holy Mother of God protect us all! The Most Holy Mother of God prays for us! 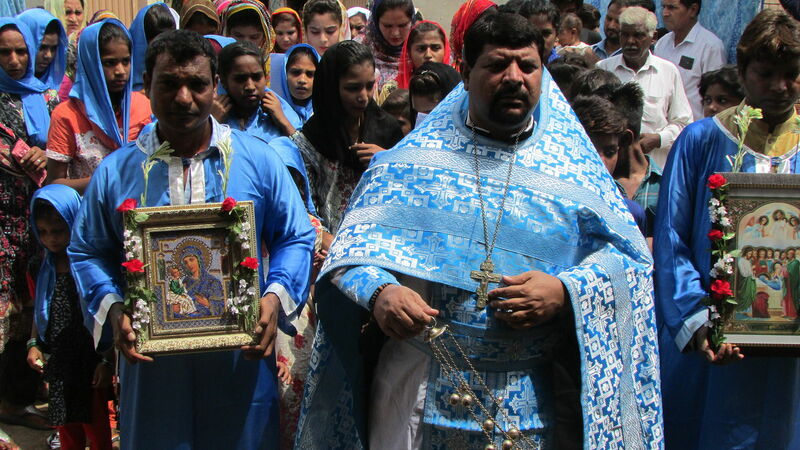 The Most Holy Lady Theotokos sends down help and support for all! It is worth mentioning that the Orthodox Faithful in Pakistan joyfully participate in all the major feasts of the Mother of God and Ever-Virgin Mary. 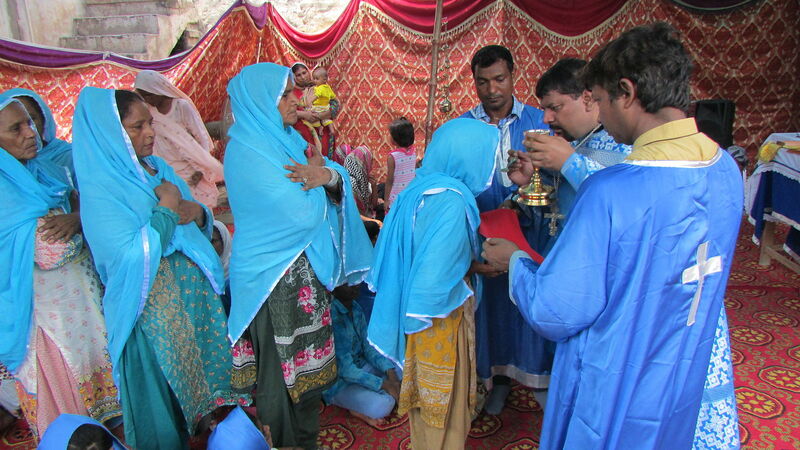 With devotion, patience and humility they offer prayers and hymns to the Virgin Mary. The Dormition of our Most Holy Lady Theotokos and Ever-Virgin teaches us to experience the Paschal Mystery and to live the true faith given to us through our Lord and God Savior of the world and through His Holy Apostles. We are thankful to God for His Divine Love and Blessings, and our life is happier on the feast day; we acknowledge the great gifts of holy Orthodoxy! 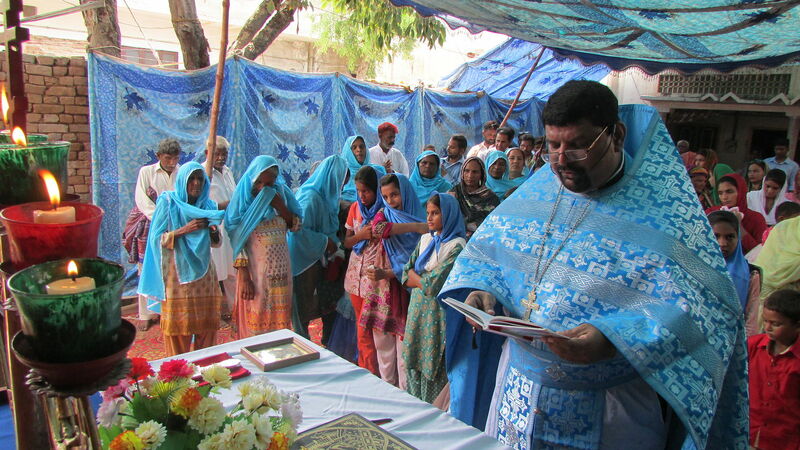 I humbly request you to help the mission through your kind donations and charity. 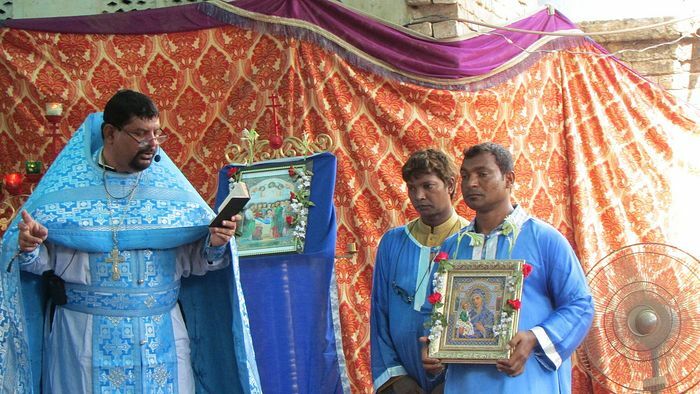 The ROCOR Church in Pakistan is moving ahead day by day! Saint Michael the Archangel Orthodox Mission in Pakistan needs your generous support for the construction of first Russian Orthodox Church in Pakistan as we are celebrating Divine Liturgy in tents, homes of the faithful, and in open areas. For information on donations, please see our website. 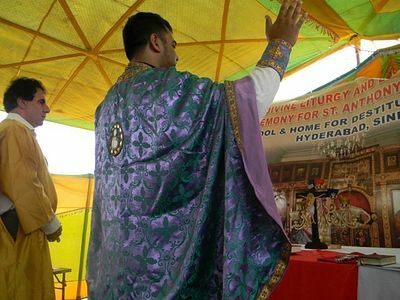 This report on a recent event at the St. Anthony Orthodox Church Hyderabad, Pakistan was prepared by Fr. Joseph Farouq, Assistant Rector of St. Sergius Orthodox Church, Sargodha, and visiting priest to Islamabad for Iranian Orthodox families.